The Barbaric Islamic Rule in India: The Biggest Holocaust in World History Whitewashed from History Books. The Jews News | Intl Media Feed | Reposted 4 Feb 2015:: The genocide suffered by the Hindus and Sikhs of India at the hands of Arab, Turkish, Mughal and Afghan occupying forces for a period of 800 years is as yet formally unrecognised by the World. 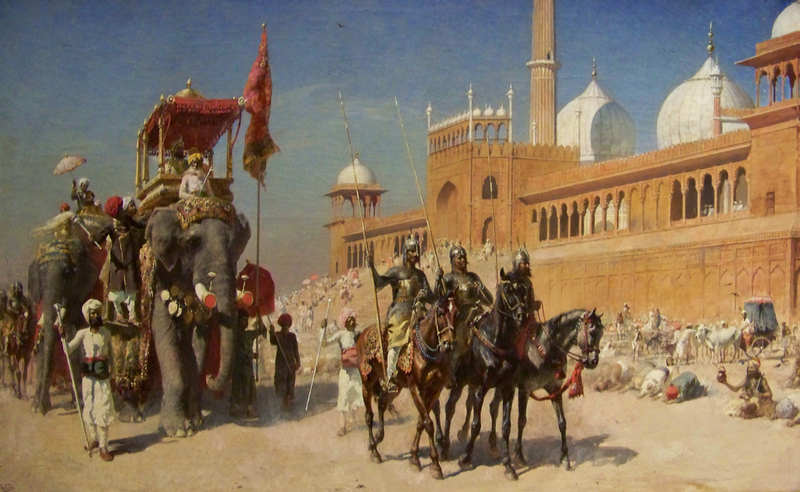 The holocaust of the Hindus in India was of even greater proportions, the only difference was that it continued for 800 years, till the brutal regimes were effectively overpowered in a life and death struggle by the Sikhs in the Punjab and the Hindu Maratha armies in other parts of India in the late 1700’s. there has been plenty of atrocities on humanity . Many of belief systems which incited such atrocities has perished eg imperialism,nazism etc. ….But the two belief systems that has terminated vast no of human population still roam our streets with impunity…..ISLAM and Communism…..the same scriptures which was used to justify violence is still intact and has not undergone any change….. it is time that the victims rise up and devise strategies to defend its position…. if we dont took a critical look onto these scriptures our future would be at stake…. No mention of Smaller Sikh Holocaust 1746 and Bigger Sikh Holocaust 1762 done by Lakhpat Rai and Ahmad Shah Abdali respectively.And also 1984 Sikh Holocaust by Indira Gandhi. 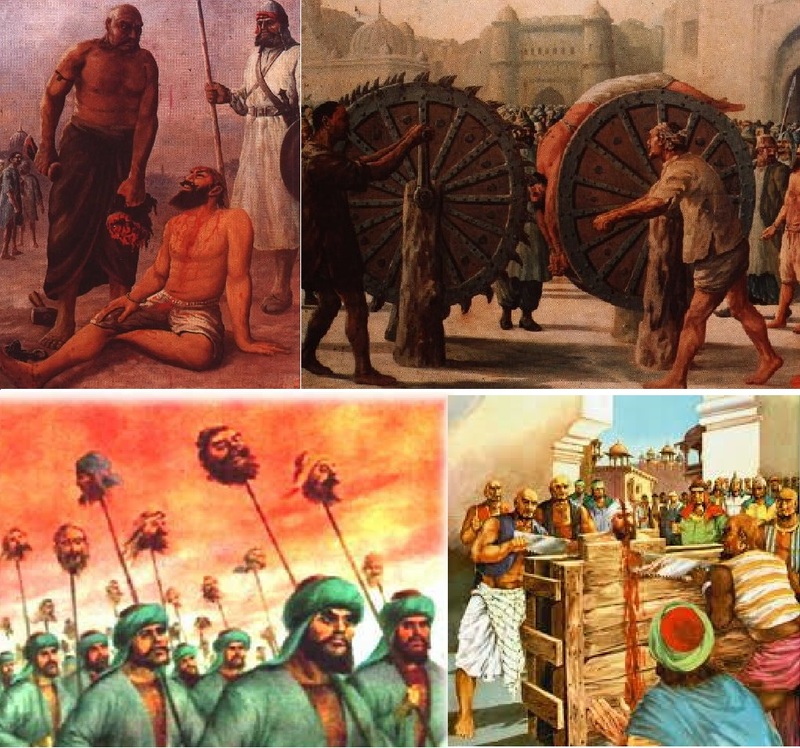 Are u crazy sh** for brains…Sikhs were Hindus before Sikh Dharm was created. U are full of sh**. We Hindus need to prove that we are not impotent. This is high time to take a revange on the busterd Muslims. We should work for prolonging the war between Syrian, Kurds, Turks, Iraqis and ISIS and try that Afghanistan and Pakistan should also gets involved in this war. Gandhi’s most favourite second-in-command Nehru , a Communist wolf in socialist sheep’s clothing in Congress Party , took up the role of a messiah for the Muslims in the garb of his much tom-tommed principle of “secularism” which gave his Congress Party a guaranteed 15% of total population “vote-bank” for winning elections year after year for the last 70 years ! France, Belgium , the U.K. and Germany would become like India , vis-a-vis their ebulient and unfaithful Moslem pouplation , in next 20 to 30 years during which time their Moslem population would cross the danger point of over 15% of their country’s population which would have gauranteed legal protection under those 4 countries’ democratic constitutions ! The trap is being successfully laid through the unusual influx of Moslem refugees from Syria, Turkey , Iraq , Libya , Yemen , Somalia , Afganistan , Pakistan and Bangla Desh ! This entry was posted on February 4, 2015 by hinduexistence in Attack upon Hindu Temple by Muslims, Attack upon Hindus by Muslims, Attack upon Hindus-Sikhs, Attack upon Hindus-Sikhs by Muslims, Conspiracy against Hindus, Hindus under Islamic Aggression, Hindusthan under Islamic Attack, Islamic Menace, Islamic Terrorism, Jihad in Hindustan, Jihad in India, Say No to Islam, Say No To Jihad, Sikh Tradition and Culture under attack, Sikhs against Jihad, Sikhs under Islamic aggression, Stop Islamic Menace in India, Stop Islamic Terror in India and tagged Hindu-Sikh Holocaust in World History Whitewashed, Islam in India, The Barbaric Islamic History in India, The Biggest Hindu-Sikh Holocaust in World History, The Biggest Holocaust in World History, Was There an Islamic Genocide of Hindus?.